Nothing on their website about this one sadly, but it’s a pleasant pale ale although a little too hoppy and a touch too fruity for my awkward palate. Perfectly drinkable though. 4.0% A.B.V. The Barley Mow, Kemptown, Brighton. December 2018. Our first beer after we’d moved from Wiltshire over to Essex and a truly local beer brewed just a few miles away from where we found it in a pub just over a mile from the campsite. 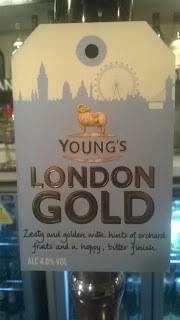 Nice and light and a good session beer, it was ok but being a Golden it didn’t really hit my spot. 3.8% A.B.V. While we were staying at: Woodpecker Meadow Campsite, Easthorpe, Essex. The beer: “Gower Power, like all of our ales, is brewed with traditional floor malted barley and packed full of a choice quality hops, to give a powerful Welsh example of a true British classic – Indian Pale Ale. At 5.5% abv you will certainly feel 'The Power'! Gower Power has a huge following, and we think that's it's fans are right to be so passionate about this beer. It's a cracker. Packed a punch this one - a tad on the fruity side for me but by now we were well into our ‘research’ and it went down very well. 5.5% A.B.V. July 2018. The beer: “Gower Gold is a thirst quenching golden ale. It has refreshing citrus flavours and the lovely aroma of the cascade hops. Brewed since December 2011, this beer has become an all round firm favourite. Gower Gold clocks in at 4.5% abv and is available all year round…….Gower Gold is perfect on any occasion, but we think it's extra special with Fish or a Curry.. Perfect for a warm summer’s night on a campsite which was where it was drank, in the company of friends. 4.5% A.B.V. July 2018. Hattie had nothing to say about this beer – on the website anyway, but this was much more to my taste than the Moonlite – darker and more of a traditional bitter. 4.5% A.B.V. June 2018. The Brewery: “Our recipes have been dated back to 1927! It was only in early 2012 when a family member acquired a modest 1 barrel brewplant did things really start getting exciting!….A fury of experimentation, tweaking of old recipes and some good-old fashioned “taste trials” were found to all go down very positively with friends and family that we decided to take the plunge and do it for real!……..After a few hardships with leasing premises, planning permissions and rugby-related injuires, the brewery eventually found its way to its new home on the Nuffield industrial estate (Poole) in 2013. – not quite in Bournemouth; but beggars can’t be choosers! Just 3.9% A.B.V but very flavoursome although it was just a tad too sweet for me. Wouldn’t say no to another though. Thank again go to friends Sam & Andy for their contribution to my ‘research’ project. June 2018. One of a number procured during the latest Aldi beer festival and my favourite. Everything my taste buds like was here it seemed - I wish I’d bought more than one. It accompanied an England win in the football World Cup too which maybe helped! I’ll be honest - I didn’t have high hopes for this when I poured it. I know it was a pale but it looked pretty unappealing to me however. Proof though that looks aren’t everything was in the taste. Whilst it’s not a beer I’d choose over an amber bitter say it was very quaffable, particularly a bit colder and on a nice summers evening. Don’t use it to wash down a pack of Cheddars though - a very different flavour developed. A welcome addition to the Felinfoel stable, procured I think when Aldi’s beer festival was on, so a bargain price too. A tasty drop.4.5% A.B.V. June 2018. Guesting at our local it takes an exceptional beer to trump the usually excellent Harveys Sussex Best Bitter. This didn’t do that but it was very drinkable although it certainly didn’t have the body expected of a beer of this strength. Always nice to sample local brews though. 5.0% A.B.V. The Beer: “Caledonia Outpost IPA has some subtle fruity / estery notes. These are dominated by strong malty grainy flavours along with a punchy hoppy character. The beer is distinctly bitter with a lingering bitter aftertaste as you would expect from an IPA. The beer has a warming alcoholic effect on the throat. This beer is medium to full bodied. The Beer: “Hop Scotch has a slightly fruit/ester nose, with a smokey/woody/ cloves flavor, vanilla flavor is also detected. It has a slight warming effect on the palate due to the presence of higher alcohols. Caledonia Oak Aged is slightly sweet with a clear bitterness and some after-bitterness and astringency.This beer is medium bodied. 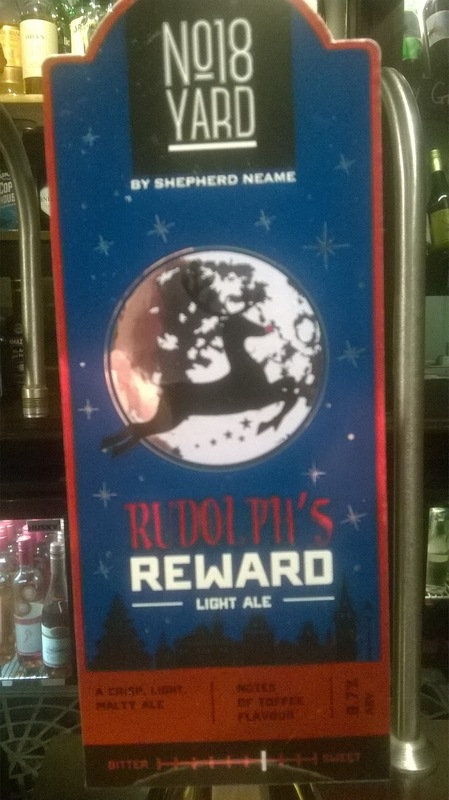 Reminded me of one of those ales that appear around Christmas time but that’s not a bad thing - to my palate anyway. A nice drop. 4.8% A.B.V. March 2018. Yeah, I like a drop of the dark stuff now and again and this didn’t disappoint. Robust at 4.6% A.B.V without being overpowering. Didn’t really work for me to be honest. I found the flavours a bit confusing. having had a look at their range though I’m looking forward to further ‘research’ into Dark Revolution’s product when the opportunity arises. 4.4% A.B.V.